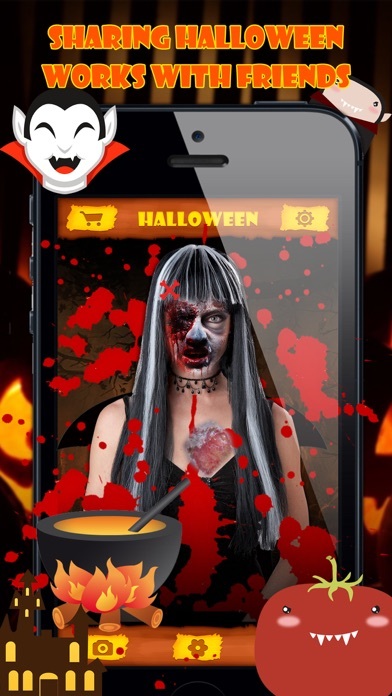 Thrill your friends this Halloween with fun hand made photos! 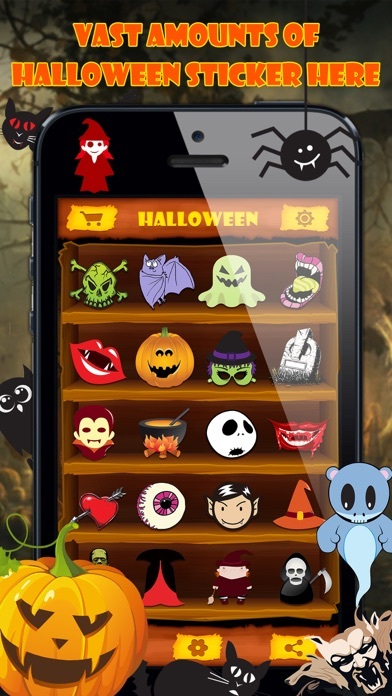 Scare off the dulness of regular pics by adding some Halloween themed stickers from our vast collection! 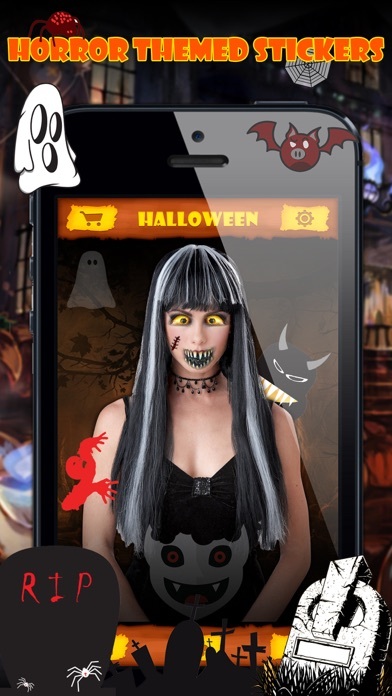 With everything you might possibly need for terror-ific photo edits this season, from Jack-o-Lanterns and monsters to halloween wishes, you are all set for Halloween! ===== How to use: 1. Take a picture or import one from the Gallery 2. Select a sticker from app's broad collection 3. Rotate and resize it until it perfectly fits 4. Add any amount of other stickers by repeating the procedure 5. 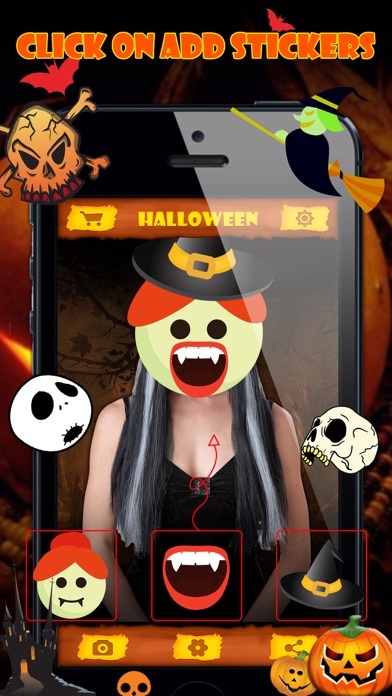 Now you have some awesome Halloween pics you can easily share on messengers, Instagram and Facebook!